You will have heard it all over the news, or probably on Twitter or Facebook, but yes, the UK Government is in Chaos and Theresa May is once again in choppy waters. But why? This all stems from the one issue that has dominated British politics for the last two years – Brexit. With precious little time left – October’s EU Summit is the most likely opportunity for a final agreement on the UK divorce from the bloc and a statement on future relations - May convinced her Cabinet to back her vision of a "soft Brexit" during a marathon all-day summit at Chequers. The issue was that she hadn’t actually convinced them. The plan from Chequers was for the UK to remain in line with the EU on rules for all goods, though it would be free to diverge from bloc rules over services; to establish a "joint institutional framework" that will interpret UK-EU agreements, and then to treat the borders between the UK and EU will be as a "combined customs territory" where the UK would apply domestic tariffs and trade policies for goods intended for the UK, but charge EU tariffs and their equivalents for goods which will end up heading into the EU. This was too close to the EU for ‘Hard Brexiteers’ such as David Davis – as many in her party have made clear in the days since and the likes of Johnson, who campaigned for Brexit and has been one of its most passionate cheerleaders since. He said as much in a damning resignation letter, lamenting that the Brexit Dream was “dying, suffocated by needless self-doubt.” He went on further still, remarkably claiming that the UK's inability to influence laws as they are made means "we are truly headed for the status of colony". 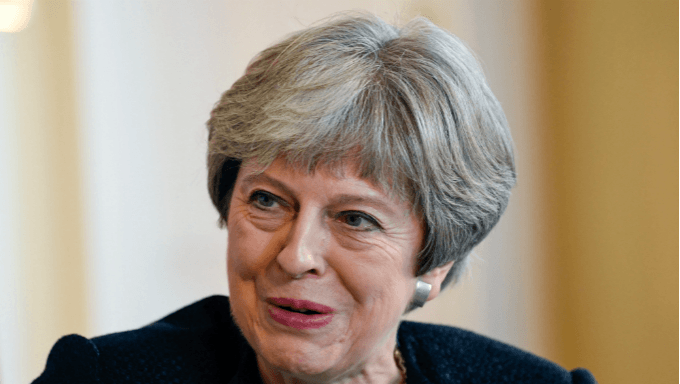 All of this is huge trouble, and bookmakers are all circling like hawks to offer political betting fans yet more specials, with a stacked portfolio of Tory betting specials already up. Paddy Power already see the wolves circling around May, and have been quick with their specials: “Brexit chief David Davis’s resignation last night has ramped up Conservative in-fighting, as a revolt seems increasingly likely. In the immediate aftermath of the Cabinet signing up to Theresa May’s soft Brexit strategy on Friday, the odds of a Conservative leadership contest in 2018 were 2/1. But Davis’s resignation has plunged the party into chaos once more, and it is now odds-on (4/7) that May will have to defend her position as leader this year. While the odds of a General Election being called have more than halved from 5/1 to 6/4”. Many people now see a General Election as an increasingly likely result of these resignations, but that would need a leadership challenge before that. It would be triggered if 15 percent of MPs in May's Conservative Party write a letter to the chairman of the party's “1922 committee". The Conservatives currently have 316 MPs so 48 of them would need to write such letters to challenge May. Once that threshold has been reached, the chairman will announce the start of the contest and invite nominations. Whilst the threshold for a leadership challenge is close, with the lobby’s best journalists claiming that 40 letters have already been sent, the practicalities are not in favour of a vote before the end of the year. There is precious little time for May, new Brexit Secretary Dominic Raab, and Oliver Robbins (prime minister's chief adviser on Europe and the real Brexit secretary according to many) to put together a set of proposals to Europe before the EU Summit in October. The length of a leadership contest is at the discretion of the 1922 Committee, but the customary period is at least 12 weeks, during which May would have to negotiate with Barnier and the EU. Any leadership contest would also come from the Eurosceptic win of the Party, looking towards a Hard Brexit, whilst May and Raab negotiate for a deal with plenty of links to Europe. There’s also not much appetite for a General Election at this point in the Tory party. Memories of last year’s disastrous campaign are fresh in the mind and if that isn’t enough of a put-off, then the looming presence of Jeremy Corbyn, truly anathema to those in the Conservative Party, is enough to keep them glued together for as long as is possible. The deadline for negotiations is April next year, which is why you can have a short price on an election then, but it would be no surprise if the wait was longer and 2021 is interesting at a best price of 12’s. The evens on Britain leaving with No Deal also looks to be priced correctly.